Hájos N., J. Pálhalmi, E.O. Mann, B. Németh, O. Paulsen and T.F. 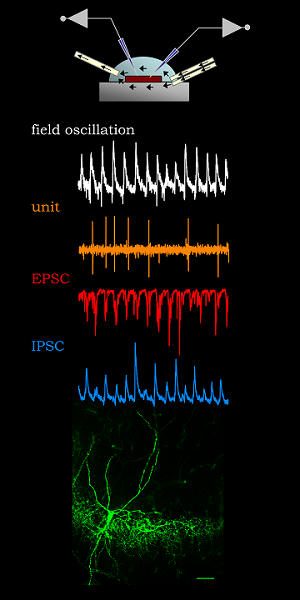 Freund (2004) Spike timing of distinct types of GABAergic interneurons during hippocampal gamma oscillations in vitro. J. Neurosci. 24:9127-37. 30 mySQL queries in 0.787 seconds.